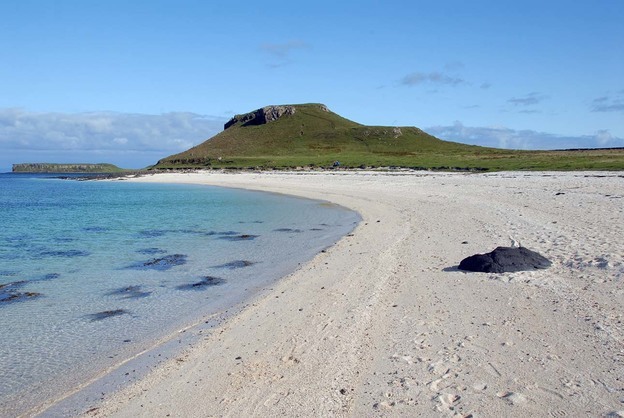 Described on a visit in 1933 by the then Duke of York (later King George VI), as ‘the isle of kind and loyal hearts’, Eilean a’Cheo, the Isle of Mist, is second in size only to the Lewis in the Outer Hebrides. Such has been the sway of the Isle of Skye on the senses of visitors that it has assumed other names, too: the Isle of Enchantment, the Isle of Mystery, the Isle of Fantasy. But it is most widely known also as An t-Eilean Sgiathanach, the Winged Isle, because it can be viewed as a great bird with outstretched pinions, about to seize on its prey. To the Islanders, it is simply the Island, with a capital ‘I’, one of many islands; but to those for whom the Island is home, there is no comparison, no equal, no thought even that there might be. The Island can be roughly divided into fairly distinct districts. 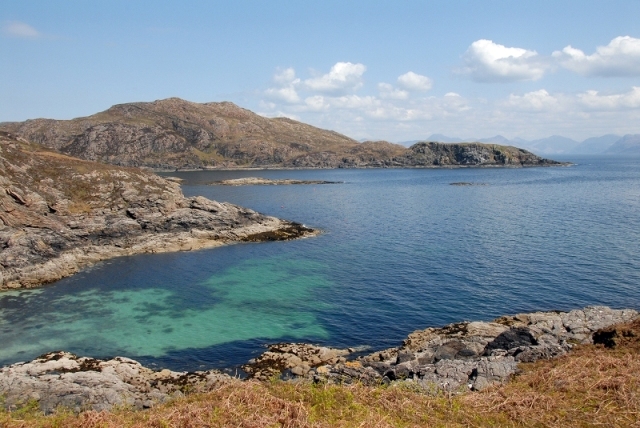 Most southerly is Sleat (pronounced ‘slate’), though this is strictly an old parish name. 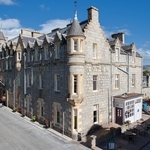 Sleat abuts Strath, which extends northwards and west to the major promontories of the Island – Minginish (which embraces the Cuillin), Duirinish, Waternish and Trotternish. The ‘nish’ ending is of Norse derivation, and means promontory. Wherever you go on Skye you encounter the remains of structural relics, ruins of houses, forts and tombs: the Island is littered with chambered cairns, hillforts, duns, brochs, hut circles, souterrains and Pictish stones, all, virtually without exception, dotted along the Island’s tortured coastline. 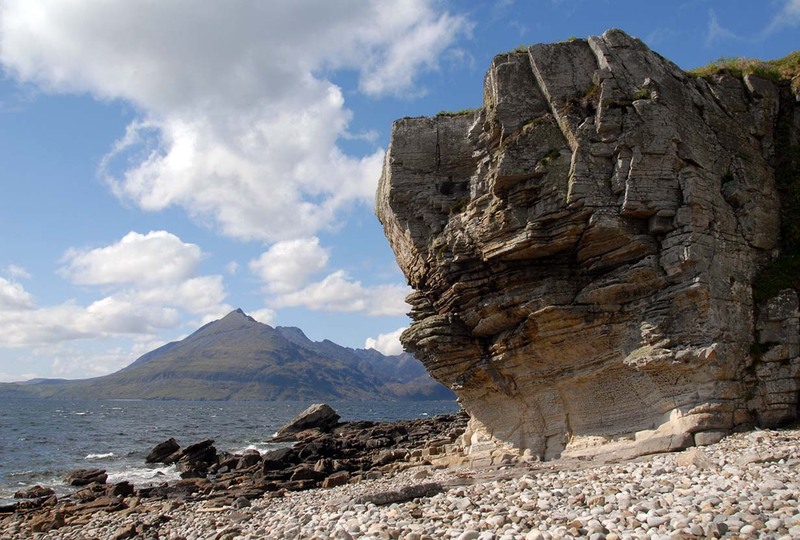 These are all that remain to tell us about the history of man on Skye before the days of the written word, and many of them date back more than 6000 years. There is no compromise with Skye; you either love it or hate it. Tales of outrageous weather, days of a rain-lashed island, blasted furiously by winds that are as strong as any in Britain, are grossly exaggerated – a mite true, but exaggerated. Come to Skye expecting and equipped for wind, rain and cold, and anything else is a bonus. But what a bonus! To discover the charm of Skye you must experience it in all its moods – otherwise you miss the point – and you must accommodate those idiosyncrasies, leaning on the wind, walking through the rain, and your reward will be bright, clear days of lavish colours, of infinite curiosity, way beyond your wildest imaginings. But you must be patient. Fifty years ago, enthusiastic and joyfully sympathetic to a new world of adventure that was only then opening for me, I first ventured to Skye. A comfortless night sleeping in the car on the edge of Camas na Sgianadin gazing out to the islands of Pabay and Scalpay did nothing to moderate an eagerness to explore Skye that persists to this day: it was a vision of the Promised Land, a place full of hope and endless opportunities, a place of raw elemental forces, a land barely scratched by man. Whatever might be said of Skye, it remains, and always will be, a most remarkable place: a land of passion, legend, pride and fierce loyalties. For anyone who may never have ventured here before, it is a land of amazement, of varied and rousing landscapes, of awesome views and seamless skies. 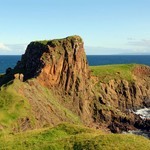 But the weather is only one influence on the remarkable personality of Skye. Its geology and land forms are so diverse that the student of morphology and the landscape will find endless days of wonder, while around its tortuous coastline the ubiquitous seas have taken their toll, and fashioned their own contribution to the Island’s grandeur. The Island’s history is a microcosm of human enterprise and endeavour, of resilience and mutual reliance on fellow men. Yet overriding everything, there hangs an indefinable, almost supernatural quality that breeds a deep and abiding affection among all those privileged to share Skye’s secrets. 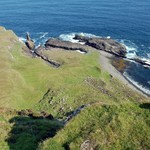 Some describe it as ‘the Magic of Skye’, Seton Gordon called it the ‘Charm of Skye’, others ‘Skye fever’. Perhaps it has something to do with the elfin lore that pervades this island of mist, or the invigorating purity of the air, or the clarity of its light, or the wealth of legend, or simply the indelible imprint Skye makes on an open and receptive mind. From any direction, the drive to Skye travels through some of Scotland’s most extravagantly beautiful landscapes. For all public transport enquiries, call Traveline on 0871 200 22 23 (24 hours, seven days a week). A Skye and Lochalsh Travel Guide is available from tourist information centres or direct from the Highland Council at Public Transport Section, TEC Services, Glenurquhart Road, Inverness IV3 5NX. Tel: 01463 702660. The Council also produces a full map showing all public transport routes in the Highlands. Cars, bicycles and taxis can be hired locally. Access to the Island by road, without having to resort to ferries, became possible in October 1995 with the opening of the toll bridge from Kyle of Lochalsh to Kyleakin. 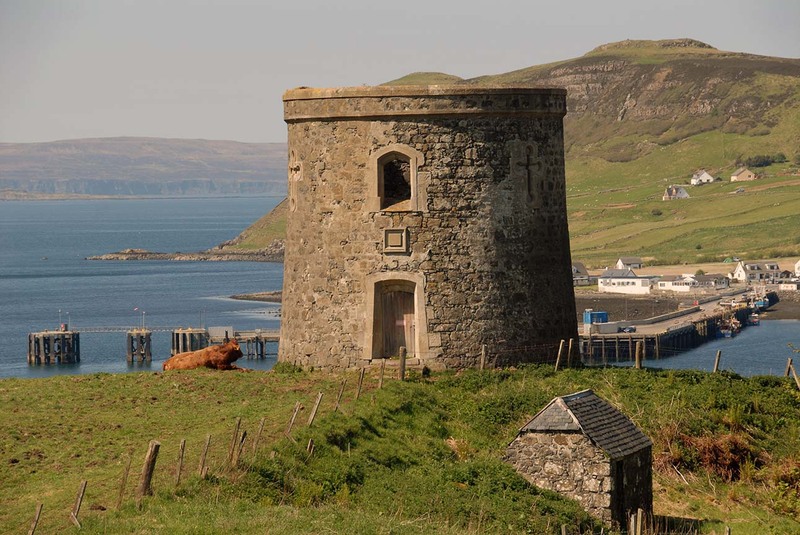 After the bridge opened, hundreds of protesters from Skye and all over Britain faced criminal prosecutions for refusing to pay the toll, which was the highest in Europe. Now the crossing to Skye is toll free. 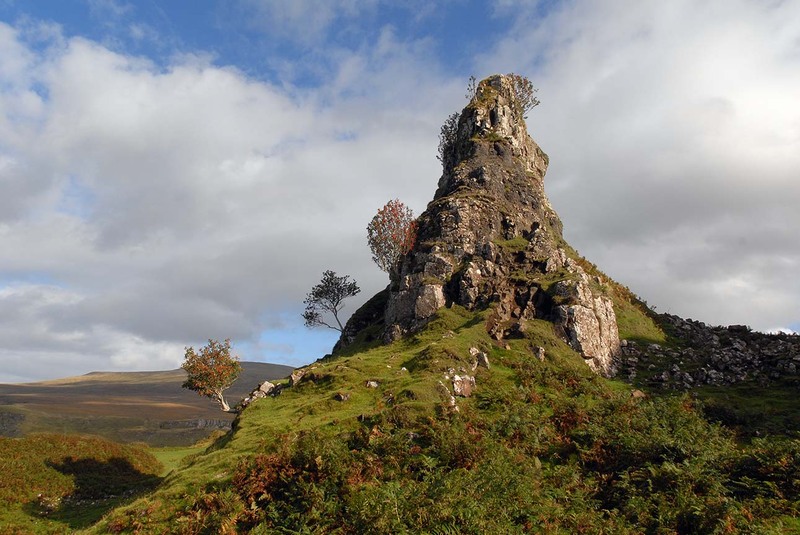 The distance from Glasgow to Portree is around 220 miles and the driving time four-five hours, and from Inverness around 115 miles and three hours. There is an element of romance about reaching Skye by ferry. There are two car ferry services from the mainland: Mallaig–Armadale is operated by Caledonian MacBrayne Limited, and Glenelg–Kylerhea is owned by a community company. The road journey from Fort William to Mallaig is one of the most scenic ways of approaching the Island. The onward route on Skye takes you from Armadale and via Broadford. Caledonian MacBrayne Ltd., The Ferry Terminal, Gourock PA19 1QP. Tel: 01475 650100; Fax: 01475 637607; Booking hotline: 08000 66 5000. Port offices: Armadale: Tel: 01471 844248; Mallaig: Tel: 01687 462403; Uig: Tel: 01470 542219. You can book online at www.calmac.co.uk. Crossing time 30 minutes. Approached over Mam Ratagan from Glen Shiel, the subsequent journey to the main Skye road climbs through the rugged Kylerhea Glen, a single track road with passing places and a very steep incline. Not suitable for large vehicles or vehicles with trailers of any kind. The Ferry is run by The Isle of Skye Ferry Community Interest Company. For further details email info@skyeferry.com or visit the website: www.skyeferry.com. Anyone can apply for membership of the company, which will provide a 5% discount on ferry fares. Sailings between Easter and the end of October, from 10am-6pm (7pm June-August), 7 days a week, with crossings every 20 minutes. Journey time is five minutes, and the ferry – the Glenachulish – can transport six cars, with standing room only for foot passengers. There is no rail service on Skye; the closest points you can reach are Mallaig, via Glasgow (Queen Street) and Fort William–Mallaig (not Sundays), or Kyle of Lochalsh, via Inverness. Frequent daily services run from Glasgow and Edinburgh to Fort William for the Mallaig connection, and to Inverness for the service to Kyle of Lochalsh. An overnight sleeper service operates from London (Euston) to Fort William and Inverness, stopping at a number of intermediate stations. This service is provided by First Scotrail. You can buy your ticket in advance by visiting www.firstscotrail.com, or calling 08457 55 00 33 between 7am and 10pm.